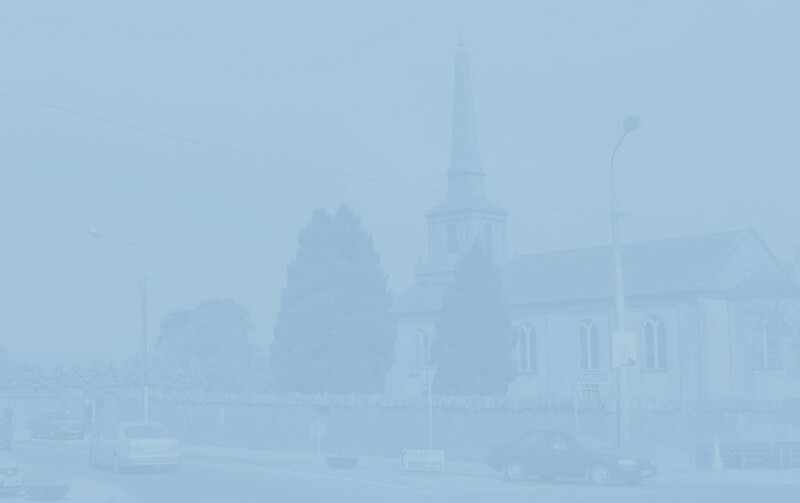 James Fintan Lalor Avenue. It was originally the approach road to the gates of the ancient fort of Maryborough2 but, as to the origin of its name, I have more questions that answers. Is it derived from Tipperary-born Theobald Pepper, former lieutenant, 3rd Dragoon Guards3. Is it possible that he had been stationed in the old barracks mentioned in the entry for 99 & 100 Main Street? Is he the Captain Pepper who, in 1846, lived near the Golden Croft (the area around what is Bank Place and the field behind the CBS today)? The only certainty is that he is listed in Samuel Lewis's Topographical Dictionary (1837) as 'County Sub-inspector, Constabulary Barracks'. But I think it unlikely that such a title or his earlier military career would merit being commemorated in a placename? In 1850, there were three houses in Pepper's Lane, but just one of them was occupied (by John Russell). In 1901, only the Connolly family was living here, succeeded a decade later by Michael Ireland, his wife Sarah and their adult children William and Annie. Also in the house on Census Night was their grandson, four-year-old John Ireland (whose eventual son and namesake lives on the New Road today). 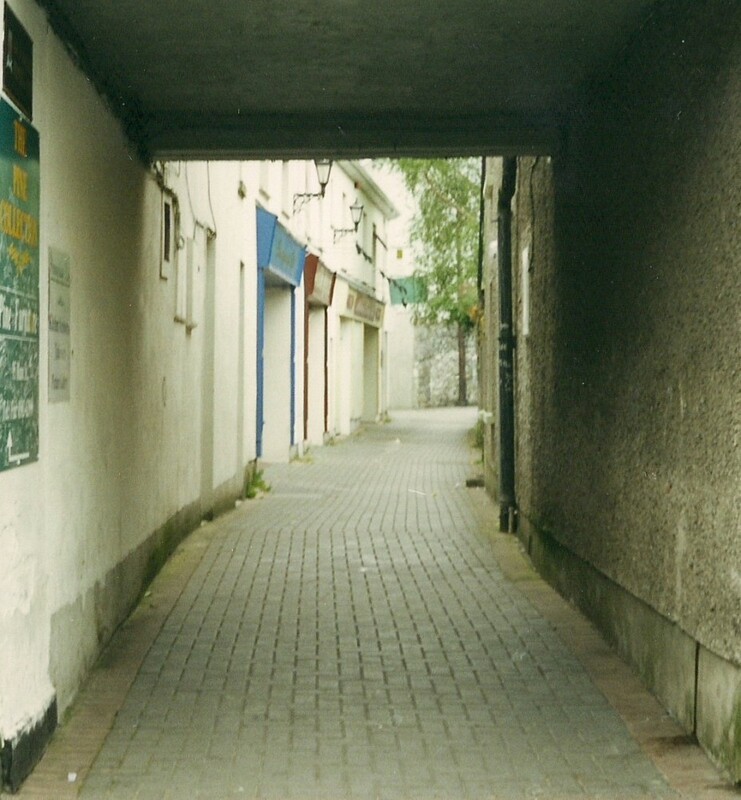 In those days, and well into living memory, the lane led to Meehan's farm, with a narrower one branching off towards the rear entrance of various premises on Main Street. An archaeological excavation here in 1996 - conducted by Portlaoise native Dominic Delany - unearthed the remains of the mill-race channel 2.5m wide and 1.5m high, one section of which had an arched roof of stone and brick. [For more information on the history of the mill, please see the Odlum's Mill pages of this website]. One man recounted to me how, on a summer's evening, he had entered the dry channel and made his way under the Lower Square as far as - he estimated - Shaw's corner where he was driven back by rats. No, it wasn't Indiana Jones. 1 A map from that year also shows an 'Old Tannery' in this immediate vicinity. 2 Portlaoise. A Historical Account. Michael Parsons. Lecture given to the Laois Heritage Society, February 20, 1980 and subsequently published in the the Society's Bulletin. 3 The Royal Irish Constabulary. A complete alphabetical list of officers and men, 1816-1922. Jim Herlihy. Four Courts Press 1999.